Rakesh Agarwal is the co-founder of ICBI and brings over 25 years of experience as a highly successful entrepreneur and expertise in the training industry. A Boston University graduate, he comes with a strong family business background and is reputed for starting innovative ventures which are pioneers in their field. In his previous role, he had been the Managing Director of the world’s No. 1 air hostess training institute. In 1996, Rakesh had launched, for the first time in India, a boxed sales training program called WISE (Winning in Sales Every Time). A reputed motivator and trainer, he had highlighted the importance of creating a positive “first impression” in sales situations. Rakesh had been instrumental in introducing the organized car rental business to India by signing an agreement with Hertz Rent-a-Car in 1985 at the age of 21 on behalf of his family. He was the pioneer in the field of telephone search engine and launched the famous brand “Ask Me”, establishing the first 24×7 telephone call-handling facility in India in 1989. He had been a finalist for the Young Business Achiever Award instituted by Sista Saatchi and Saatchi and Indian Express. Rakesh is now fully devoted to the cause of personal, social and corporate upliftment of people by promoting the business of Image Consulting. 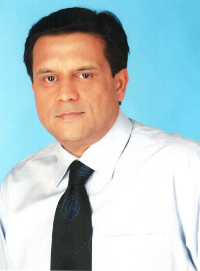 He is the chief consultant of First Impression Consulting Pvt. Ltd., which focuses on establishing the industry of Image Consulting and the subsequent expansion and consolidation. Rakesh is also the co-author of the book “First Impressions, Lasting Impressions“, projecting a powerful image in the first few seconds can change your entire life, published by Times Group Books. Suman Agarwal, the co-founder of ICBI holds a Masters award in Image Consulting – she is a Master Image Consultant – MFIPI from Federation of Image Professionals International (FIPI) – UK. 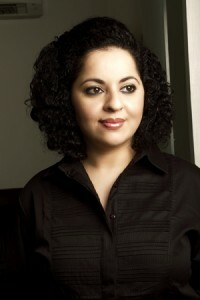 This makes her the Senior most Image Consultant in the Indian Sub-continent. Suman carries a strong service, image and quality ethic, bringing meticulousness and great dedication to the profession of image consulting. Having begun her career in 1996, Suman brings years of experience in the services industry to her role as co-founder, guide, trainer and consultant at ICBI. Suman carries high expertise in designing and implementing policies related to Grooming and Customer Service Standards for leading Corporate in addition to coaching professionals. Suman’s experience include senior, national level roles at a leading training company where she provided tremendous value by establishing quality guidelines to service roles for the first time, ensuring quality adherence through training, monitoring and strong implementation measures. Prior to that, Suman was associated with Jet Airways for eight years, rising through the ranks at the beginning of her career as a flight attendant to in-flight supervisor and then to the challenging role of looking after Grooming for the In-Flight Department and recruitment of Cabin Crew. With great insight into the requirements of the airline industry, Suman created and executed the highest standards in grooming, appearance and customer service. She took the lead in setting the direction, implementing, guiding, training and monitoring in-flight attendant’s image. She infused her role with a substantive element through regular counseling for the attendants based on health and fitness in coordination with the medical department. Her contribution in creating a strong service and image ethic was recognized by Jet Airways which selected Suman as the Face of the Airline, featuring her on the website and promotions in 2003. Suman is also the co-author of the book “First Impressions, Lasting Impressions“, projecting a powerful image in the first few seconds can change your entire life, published by Times Group Books.